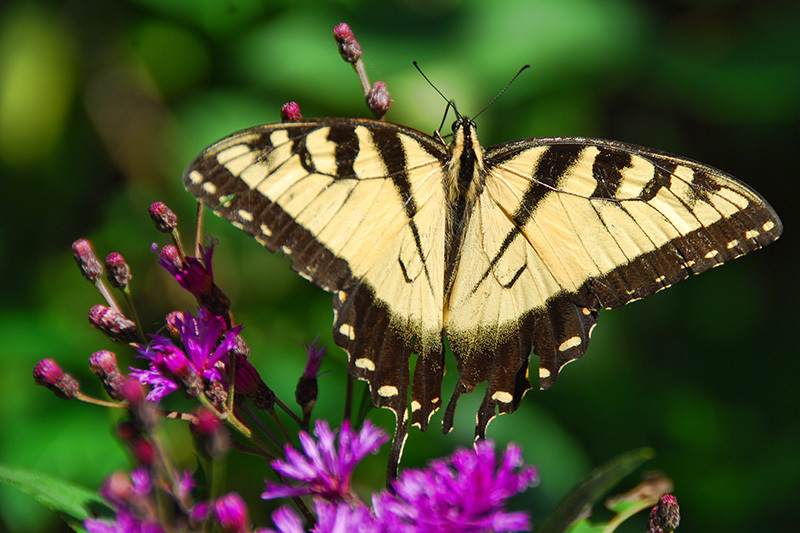 The color of the eastern tiger swallowtail can vary. Males are yellow or yellow-orange with black tiger stripes. Their wings are bordered in black with yellow spots and there are black “tiger stripes” running across the top of their wings. Their long black tails have blue patches on them. Female colors can range from the yellow of the male to an almost solid bluish-black. Their wing span can be up to 6 1/2 inches. 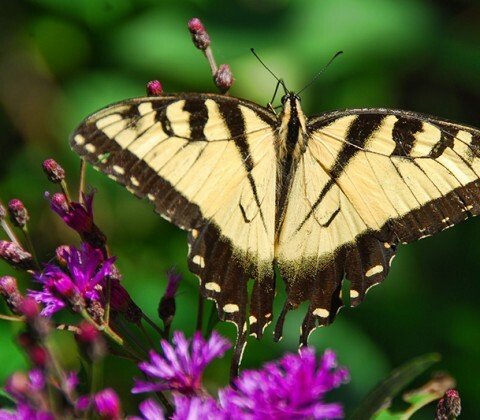 These butterflies are very common and can be found in Eastern US and Canada and as far South as Mexico.